The last pretty polish I have for you from Darling Diva Polish is so much fun! This blue is enough to brighten anyone's day and keep a smile on your face. 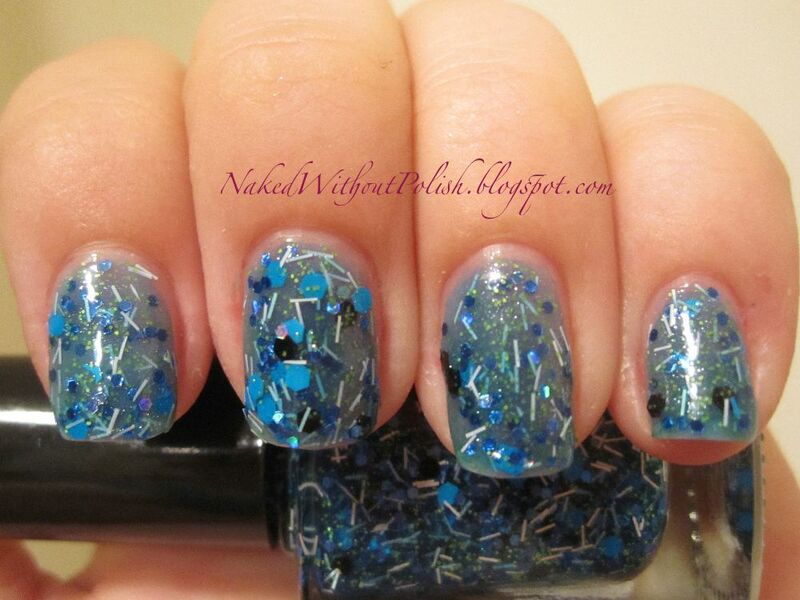 Darling Diva Polish - Just Keep Swimming. 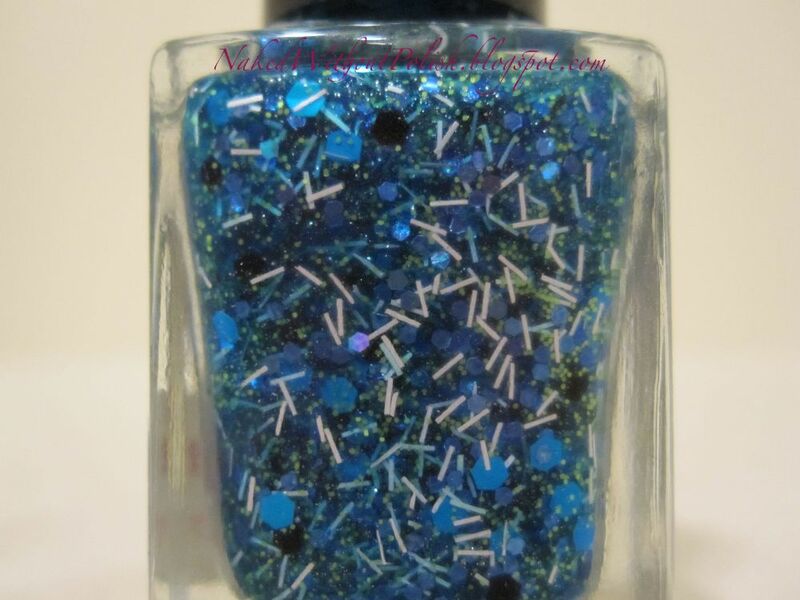 Just Keep Swimming is a blue tinted base with small white bar glitter, large bright blue hex glitter, large dark navy or black hex glitter (I really couldn't tell), yellow micro glitter, small bright, medium and dark blue hexes and a bunch of holo micro glitter hidden in the background. Looky there at the 3rd coat, some of that holo pops!! This is three coats of Just Keep Swimming. 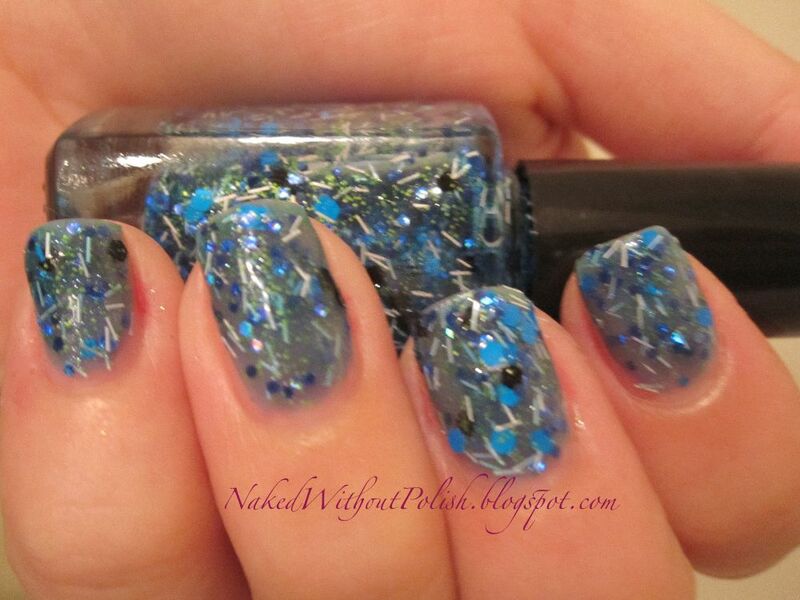 A little blurred to try to capture more holo. Just Keep Swimming went on surprisingly smooth for it being so full of glitter. No pulling or dabbing to place glitter in certain spots. The bar glitter wasn't annoying. It is so playful and unique just like it's inspiration, Dory from Finding Nemo. Once again, it's a polish I just couldn't bear to layer. I think layering this would take some of the depth away. Not worth it. Three coats of this beauty is perfect! 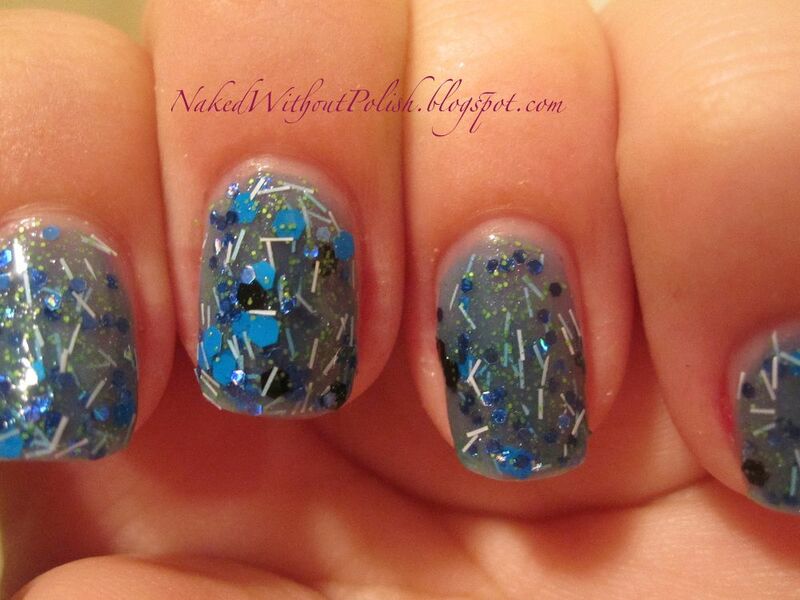 Not overly thick or clumpy, perfectly covered and glitter galore!! Darling Diva Polish has definitely made a follower out of me. Anyone who can make a great jelly filled with wonderful glitter has a fan in NWP! 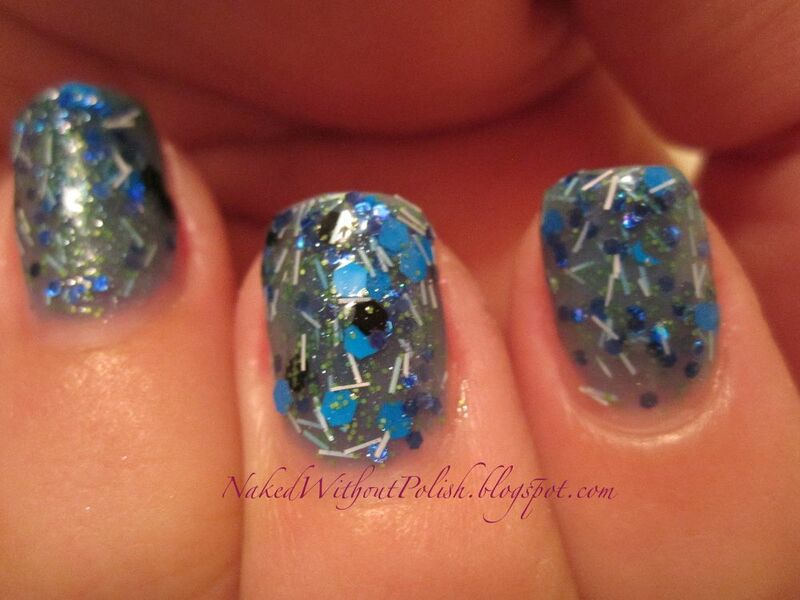 Unfortunately, Just Keep Swimming isn't currently available on her ETSY shop, but check out several other beautiful polishes that range from $8 to $12. All very much worth it! Keep up with news and swatches on their Facebook page. Hopefully they will bring Just Keep Swimming back, but there are plenty more where it came from to hold you over if not.